My husband and I had the pleasure of playing in the Megan Markus Golf Tourney. It was a beautiful day at Victor Hills and I’m so glad we were able to play. Eight foursomes teed off at 10:00 am. I saw hole sponsor signs from John Hart and Jan Giovatti. Thanks to both for your contributions. John also agreed to match any donations from the class of ’75. So, John, that’s $160 for my husband and I and another $20 in raffle tickets. We didn’t win anything so the $20 was truly a donation. :) And Sharon Keating and her husband and Beth Gaylord were at dinner so there are more donations to match! My goal is to have two – IHS class of ’75 foursomes at next years’ event. I think we can get at least 8 people from our class to play and support the Megan Markus fund! 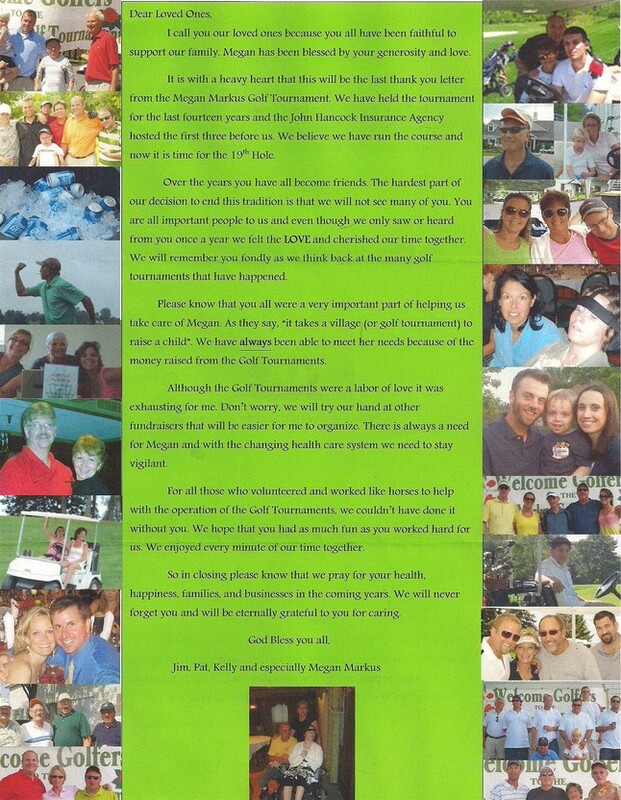 Megan’s family is truly remarkable and the love and support for Megan is contagious! Consider playing at next year’s event! You won’t regret it. Megan is the daughter of Patty (Hinton) and Jim Markus. Megan was in a debilitating life altering car accident in her senior year of high school in November of 1996. Megan lives at home and requires around the clock care. Insurance covers much of the care but as we all know it doesn't cover everything. 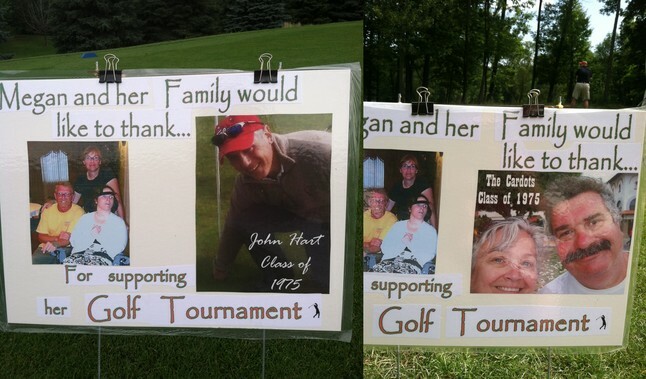 The family holds fundraisers throughout the year to help with expenses. There is an annual golf tournament that is held the second Monday in August. Please keep Megan in mind when planning your charitable giving.